With so many store-bought juices containing more than their fair share of sugar and chemicals, it’s no wonder people are turning to home-made fruit and vegetable juice to meet their daily vitamin and mineral needs. 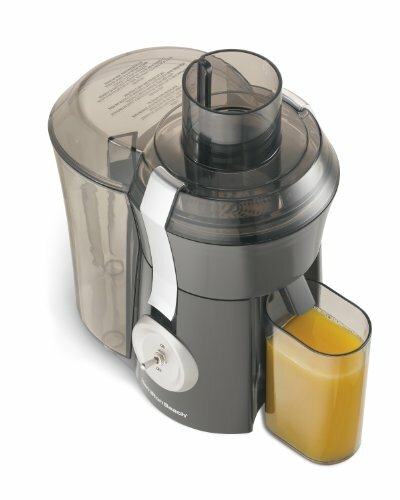 To help accomplish the task, allow me to introduce you to Hamilton Beach Big Mouth Juicers! Not what you were hoping for? Check out our other juicer reviews to help you find the Best Juicer. Do you expect to juice greens such as beans, lettuce, and kale? Many juicers have an extremely hard time processing these veggies. The Big Mouth Pro can juice them, but the results are often less than satisfactory. How about juicing soft fruits? While most people are happy with this particular usage, there is the issue that a significant amount of fruit is lost to the pulp. This isn’t necessarily a bad thing if you plan to use the pulp for various recipes in your kitchen. Juicing an orange for example would leave you pulp perfect for making an orange-based icing, custard, or cake. But clearly one person’s complaint can be another person’s bonus in these types of reviews. The bigger concern for the Hamilton Beach Big Mouth Pro appears to be in the physical manufacturing and how long the various parts generally last. The feel of these units is okay, but it wouldn't surprise us if after four months of use, some parts weaken or break. So generally, it is safe to say this unit ships intact and operating as per the promoted specs. There are different versions of this unit, some have slightly different designs but the overall function is the same. Hamilton Beach 67601a – Black Plastic not stainless. Hamilton Beach 67608a - Black Plastic. 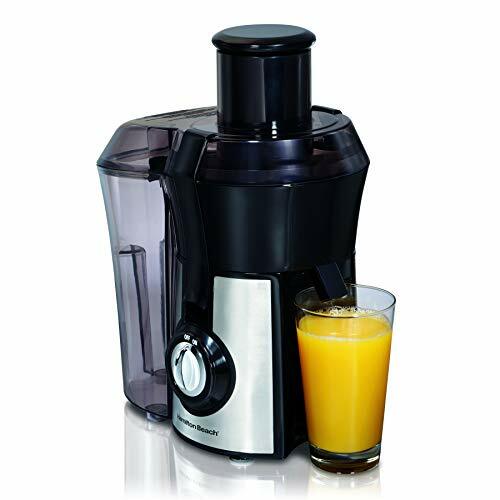 Price and function comparisons place this Hamilton Beach Juicer at the top of the list when considering other juice extractors on the market. However, I would suggest that you purchase a Hamilton Beach Juicer from a source that offers extended warranties and consumer protection. Various credit cards attach an extended warranty if the purchase is put on the card. This way, if you should find yourself among those with defective units, you can make use of the warranty and continue to enjoy the product. Of course you should double check to make sure that you will be covered. The best way is to protect yourself is to purchase a 2-Year Square Trade Warranty for appliances to cover you through Amazon.com. What Makes Hamilton Beach Big Mouth Juice Extractor Good? 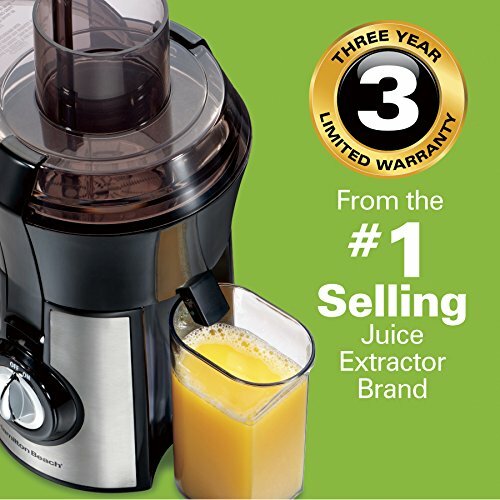 What makes the Hamilton Beach Big Mouth Pro Juice Extractor attractive for juicers? The big draw for this unit is the fact it has a wide-mouth design. The chute can take whole fruit and vegetables, provided they are pitted beforehand or if tough-skinned, peeled. The spout is also wide-mouthed, allowing for the larger container that ships with it. A cleaning brush is supplied with the 67850 Big Mouth Pro juicer. This is absolutely indispensable! Cleaning every nook and cranny will be a nightmare without it. The screen and vent holes apparently do a less-than-desirable job in keeping pulp from splashing, so be sure to place this unit where the work surface is easily cleaned. The 1.1HP motor grinds up anything you give it, which so far has been undisputed by competitors in the same category. The motor is a bit loud, so judge your kitchen in relation to places needing a quieter atmosphere before purchasing. You may not want to fire this up at 5am when other people are sleeping. Any decent food processor will come with some sort of instruction booklet that includes sample recipes to help a person learn to use the device. 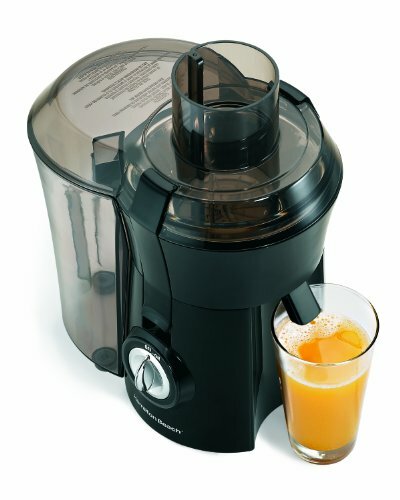 This machine is no different and some of the suggested juicing combinations are shared right on the Big Mouth Pro Juice Extractor’s listing on Amazon.com. 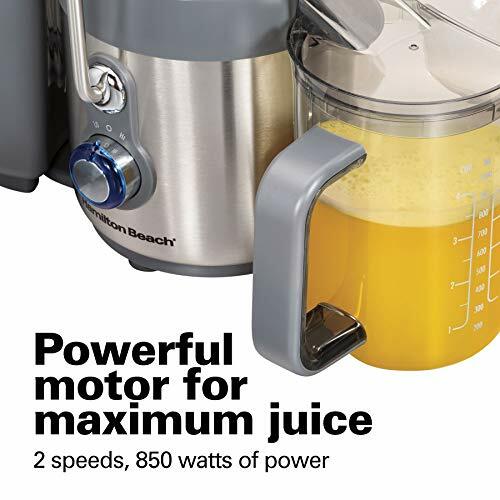 The Hamilton Beach Big Mouth Pro Juice Extractor can help juice just about anything with a bit of tweaking. We consider this to be more of a entry level juicer that is somewhat budget friendly. Getting your recommended daily intake of vitamins and minerals as well as phytonutrients is important and these juicers just might be what helps you accomplish that. 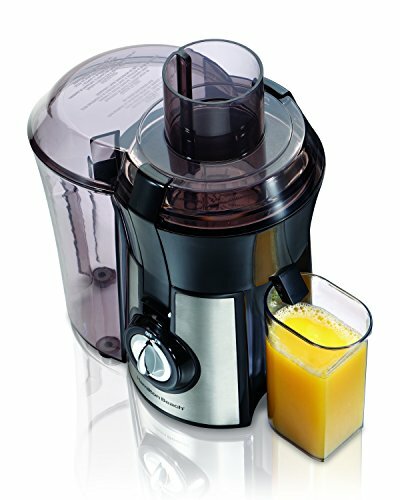 What do you think about Hamilton Beach Juicers? Let us known in the comments with your thoughts and experiences.